During a recent job transition I found myself with the ability to take a week's vacation with zero planning or forethought. I booked a ticket on a Thursday and flew out on a Sunday to Sunday adventure. I picked Ireland because I've been there twice before - and am somewhat familiar with various regions, transport options, and hosteling options. I also liked the appeal of not needing to worry about language barriers or unfamiliar terrain - which would have required some actual planning on my part to ensure a relatively smooth trip. My interests this time around this magnificent country where twofold - I wanted to actually relax and just kind of "wing-it" in terms of my general travel agenda, and I wanted to visit Northern Ireland at some point during the trip. Having passed through Belfast for enough time to run from a Ferry to a Bus - I knew that exploring more of the Northern regions intrigued me this time around. You can see my prior trip to hike the Wicklow Way south of Dublin HERE. A quick overnight flight from Boston Logan - stopping briefly in Keflavik Iceland - and then continuing on to Dublin made this a very easy trip. Including an almost 2 hour stopover time in Iceland my trip didn't take more than 10 hrs. 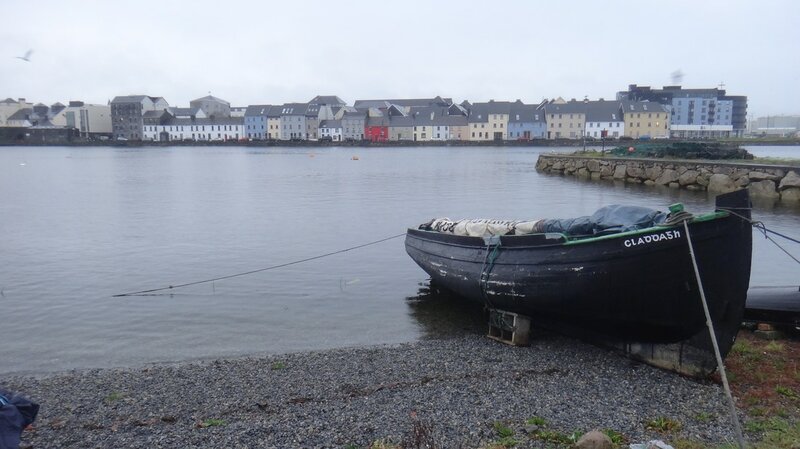 Upon my arrival in Dublin I immediately found my way to the bus depot for a quick trip over to the West Coast and the little seaside town of Galway. A few relaxing hours wandering around Galway on December 12th was the first order of business after settling in at the Hostel. Holiday spirit was in full swing, and Christmas festivities abounded, with little pop-up food and gift stands liberally scattered about for snacking and perusing. A pint and then heading for bed to prepare for a business trip ahead of me.